You can’t go from a 98-pound weakling to a pro bodybuilder overnight, despite what those muscle building supplement ads say. Building muscle takes time and hard work. While good training will produce far better results, even with top training, it will take as long as three or four months to add ten pounds of muscle to your body. The younger you are, the faster you’ll build. The same is true for your stress level, the lower it is, the better. You also need to be eating healthy and getting plenty of sleep. If you’re starting from scratch, never having much muscle tissue, you’ll build slower. It’s easier and faster to rebuild muscle tissue than it is to build it if you’ve never had it. 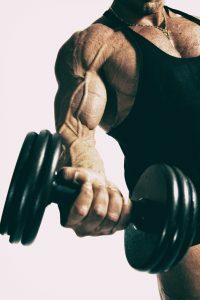 Rebuilding muscle is far quicker due to “muscle memory.” Those who start without ever having muscles have to start from scratch which takes longer because they have to increase the nuclei. Once you build muscles, those nuclei don’t disappear just because your muscles went away, they just shrink. Start working out again and they spring to action again. Even so, it doesn’t happen overnight, just quicker. You’ll see the biggest difference in the first six months. Some people are ecstatic when they start to build and expect the same rate of growth to continue. Unfortunately, it doesn’t work that way. The rate of muscle tissue starts to slow after the initial growth in the first three to six months. This fact is one reason people often get discouraged. They think they’ll continually see the changes every few months, but the closer you are to perfection, the longer it takes to reach it. It’s also normally when people call a personal trainer for help. You’ll start building almost immediately. Building and seeing results are two different things. The body has to go through a process to create muscle tissue. However, that process begins almost immediately, the results just don’t show. Within three hours of training, the body ramps up muscle protein synthesis. It’s part of the repair process of those micro-tears caused by training. Big muscles are layer after layer of repair that makes the muscle stronger and bigger. That takes time before you see the difference. If you want to build faster, eat healthier. Your body needs all the nutrients to help you build. While protein is important, consuming more protein than necessary isn’t the answer. A trainer can help you with a diet that’s perfect for you that will help you build more mass. Don’t neglect sleep. I can’t emphasize enough that you need adequate sleep to build muscle tissue. You need it every night, not just the nights after a workout. 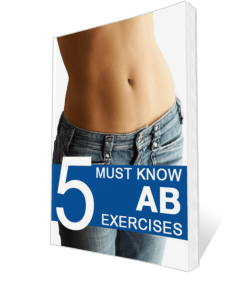 When you consider that exercise breaks down the muscle tissue before it can be rebuilt, you understand that you definitely won’t see a difference immediately following a workout. Doing compound strength building can build more muscle groups at once, saving you time at the gym.